Cape Town attractions have made it a famed destination for many Hollywood & Bollywood stars and diverse global travelers alike. Take a trip to on the Cape Winelands and taste South Africa's homegrown wines; see the world from your vantage point on the top of famed Table Mountain; dine like a king at any of South Africa's fantastic restaurants and celebrate the great outdoors even during the winter months. Below is a listing of Sea Point Cape Town accommodations in South Africa. 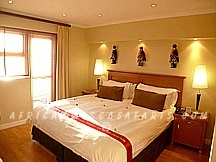 Below is a listing of Sea Point Cape Town accommodations in South Africa. To view complete details on the accommodation, click on "Read More+" under each hotel photo. Protea Hotel Sea Point is a stylish comfortable hotel in Cape Town that offers accommodation graced with an inspirational blend of South African art and contemporary elegance. Set in the heart of the Sea Point suburb, this Cape Town budget hotel is ideally located for a beach holiday in Cape Town. Winchester Mansions Hotel is an exclusive, privately-owned deluxe hotel in Cape Town situated on Cape Town's Platinum mile and overlookinf the Atlantic Ocean. It sets itself apart among other hotels in and around Cape Town with its spectacular beachfront location, stylish elegance and personalized service. 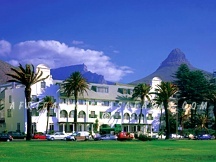 Cape Town Ritz Hotel offers well-appointed, modern accommodation in 222 en-suite rooms. 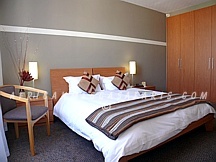 The hotel is situated 300m from the beach and neighboring V&A Waterfront. Businessmen favor the Cape Town Ritz Hotel as a refreshing location, central to the CBD yet away from the frantic pace of business pressure.